If you're looking for a rugged truck that meets all of your performance needs, then check out the new Chevrolet Colorado at Sterling Chevrolet. This truck comes with inlaid triple-sealed doors, thick windshield and side glass, and the Bose® sound system, which offers a quiet, comfortable environment for you as well as your passengers. 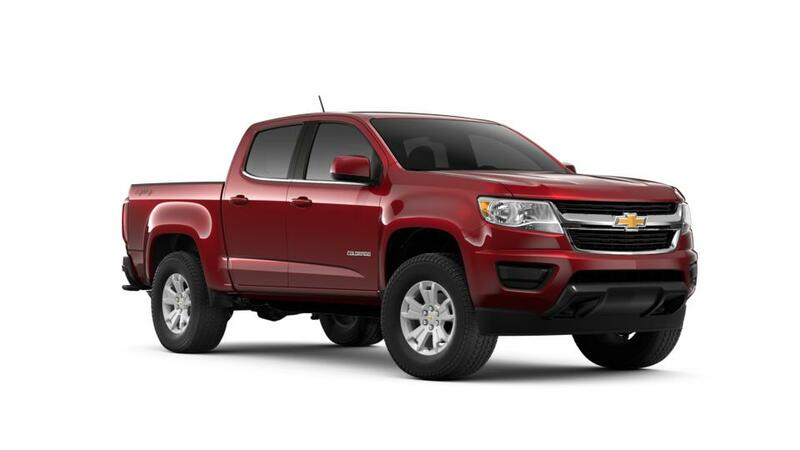 The new Chevy Colorado has impressive engine choices - the advanced I-4, V6 engine, and Duramax® Turbo-Diesel engine- provide an outstanding performance. Using the Apple Carplay Compatibility and Android Auto Compatibility, you can to seamlessly link your mobile phones to the MyLink infotainment system. The Colorado takes safety to another level too; this pickup comes with a high-strength steel frame and reinforced safety cage that keeps you secured in the event of an accident. If you’re looking for a Chevrolet dealer near Dixon, Morrison, and % DEALER_GEO_THREE%, then your search ends with Sterling Chevrolet in Sterling. We are sure that you will find the truck that meets your needs and budget. So stop by our showroom today!